Melt coconut manna and ghee then pour in medium sized bowl with MCT oil and vanilla. Mix thoroughly, then stir in cinnamon, collagen, coconut flour and almond flour. Place in freezer for about 5 minutes, or until dough slightly hardens. 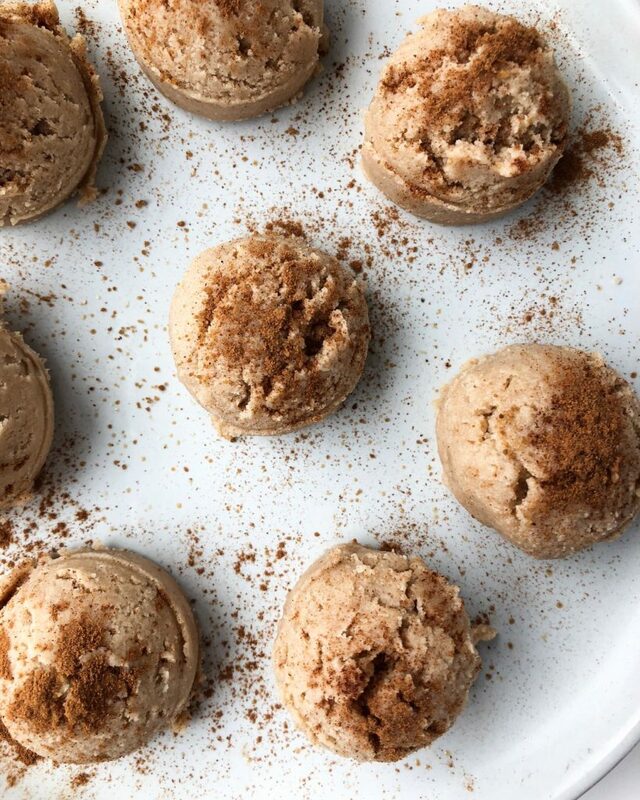 Using a cookie scoop, scoop the hardened dough onto a flat surface and sprinkle with coconut sugar (optional) and more cinnamon. Store in airtight container in the freezer. 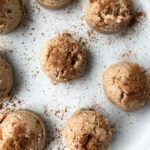 Can i substitute cacao butter for coconut butter, or is there another substitute available? Ok these are THE BEST and I’m obsessed. One time I didn’t have almond flour, but I had some simple mills pancake mix and oh my that was an awesome last minute substitution. Thank you!!! So creative, I love that!!! What’s a good substitute for almond flour? We have nut allergies. Thanks! Do you have the nutritional info for these by chance?! Do you have substitutes for MCT oil? Can you use coconut oil? Or I have a powder keto creamer with mct oil in it. Hi! Which is the recommended portion ? I like 1-2 whenever I have them! Usually 1 does the trick.